Lung Cancer is a disease caused by uncontrolled malignant cell growth in the tissues of one or both lungs. The lung is the respiratory organ which has a left portion consisting of two lobes and a right portion with three lobes. Lung cancer is one of the most common forms of cancer (death related) to occur in men , and the second most common form in women. The two primary types of this cancer are small cell lung cancer (SCLC) and non-small lung cell cancer (NSCLC). Lung cancer often caused by tobacco smoking and even safety of electronic cigarettes is questionable in current time (check eCigarettesSafe.com study for more information). SCLC is the least common form of the two and accounts for approximately 17% of all cases of lung cancer. SCLC may also be referred to by a physician as “oat cell carcinoma”. This form of cancer usually develops in the larger air passageways of the lung(s), and grows more rapidly then NSCLC. There is a strong link between small cell lung cancer and smoking. While chemotherapy is more effective with SCLC (vs. NSCLC), this form is usually more aggressive than non-small cell, and typically results in a worse prognosis. NSLC accounts for about 83% of all reported cases of lung cancer. The non-small cell lung carcinoma (NSCLC) accounts for about 70% of the total cases of lung cancer and the condition is much more severe than the former. NSCLC can be best understood from its three basic classifications given below. The squamous accounts for about 30% of the NSCLC and this condition occur when the onset of cancerous cells is at the central bronchus. This is a very fatal condition and survival is almost impossible and there is only a grave chance if proper treatments are given at the right time. However, if this type of smoking cancer is diagnosed and treated at its early stages, then the patient can have a good chance of survival as the growth of the malignant cells are slower than usual. Adenocarcinoma happens when the cells originate in the outer surface of the lung wall. And this form of cancer accounts for about 35% of all the lung cancers. This condition is also very severe and if not treated early, survival chances are absolutely zero. Large cell lung carcinoma accounts for about 5% of the lung cancers and is a rarity. The name is self explanatory of the characteristics of this disease as the lumps are larger than usual. The symptoms of a lung cancer are chronic coughing (often ending up coughing blood), shortness of breath, dizziness, chest pain, wheezing and an abnormal change in voice. Muscle and bone weaknesses are also associated with this disease. Curing lung cancer is not completely possible and with the latest technology available, only the life of the patient can be extended. The available treatments for this disease are surgery, radiation therapy, chemotherapy and targeted therapy. 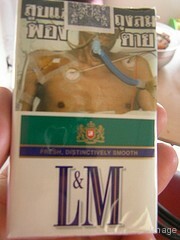 The only solution to curing lung cancer is to prevent it. So, try to avoid smoking, consumption of alcohol, exposure to harmful particulate matters.